We're headed back to Winterclash for 2019's contest! Drop everything you're doing and click on the image above to subscribe to the channel and click that bell icon to be alerted as soon as we go live. 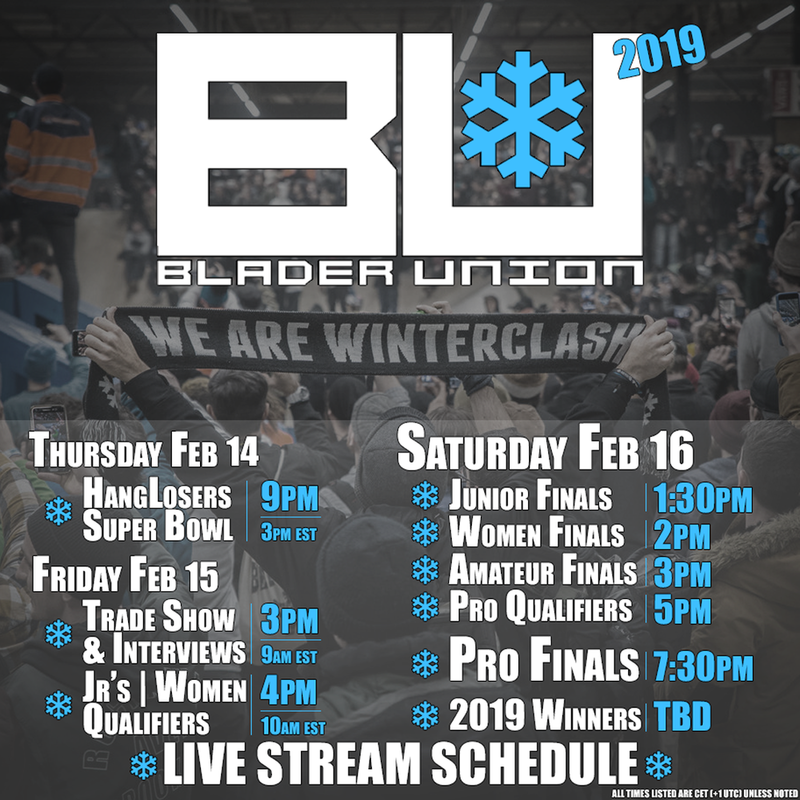 For 3 straight days, Feb 14th-16th, we'll be live on the ground at Winterclash bringing you coverage of this year’s events. Every day after the event we'll be hosting a separate live show with Be-Mag.com recapping all the day's events, stories, products, and more. You can find the stream right here on Bladerunion.com and on Youtube after subscribing and clicking the bell. We're super excited for 2019's contest and can't wait to see you there or discussing the events with us in the live stream.